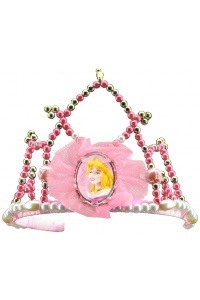 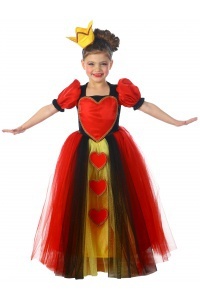 The Queen of Hearts child costume includes a gown, tulle petticoat, jeweled choker and heart tiara. 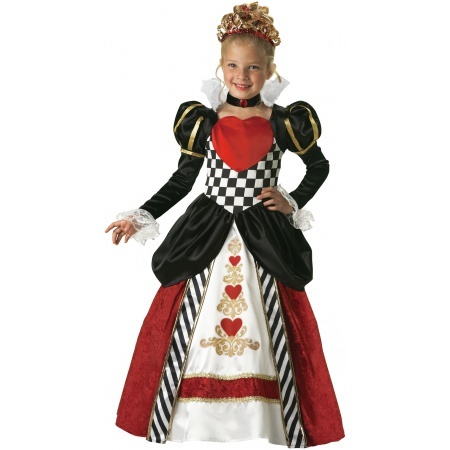 Printed hearts and gold trim accent this impressive full length Queen of Hearts costume for girls. 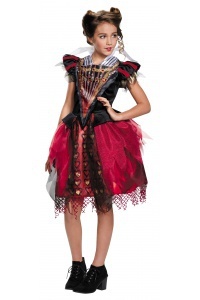 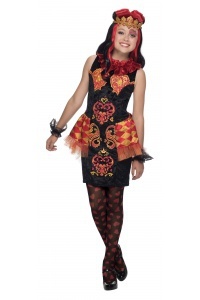 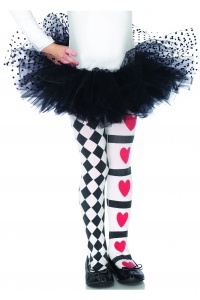 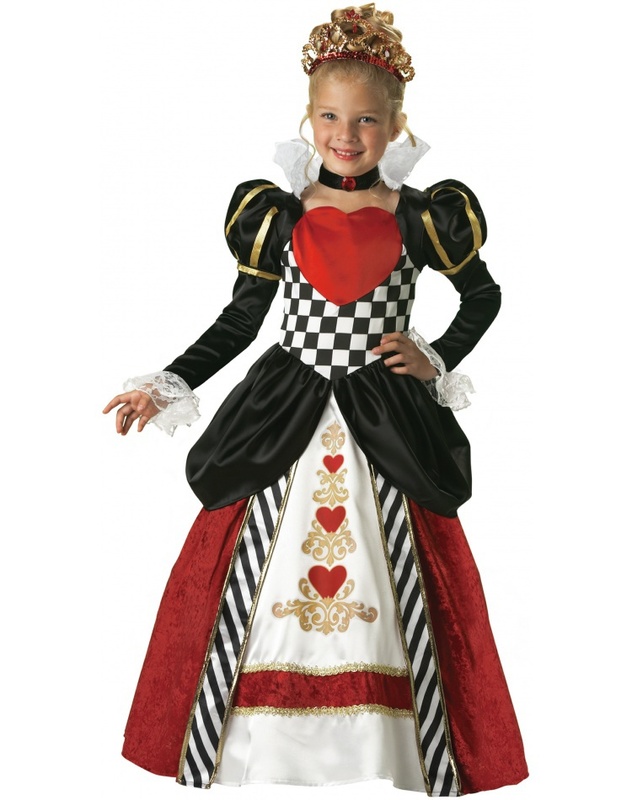 This girls Queen of Hearts costume comes in child sizes X-Large, Medium, Large, X-Small, Small. 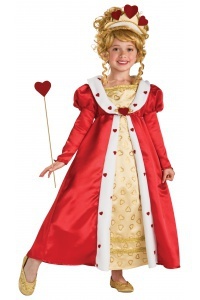 Family Halloween costumes ideas: Wear this kids Queen of Hearts costume as part of an Alice in Wonderland costumes family ensemble.